No, this is not fiction anymore. Sensing the threats which cyber attacks and malicious malwares and viruses can unleash on the nation, Govt. 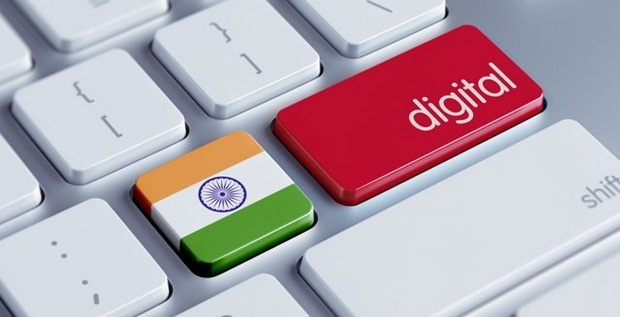 of India has announced a comprehensive ‘cyber security’ cover for all Indians under the Digital India vision. A budget of Rs 100 crore has been allocated to Indian Computer Emergency Response Team (ICERT), which will develop this facility and make it running within the next 3 months. As per officials from ICERT, a vendor has also been finalized which will help them implement the same. This cyber security facility will work with Internet Service Providers (ISPs) directly, and check all connected computers, laptops and mobiles for any suspicious files or code which can cause destruction. Additionally, the facility will be equipped to check the formation of botnets, which can result in DDoS attacks on websites and portals. Once a malicious malware, virus or any such botnet is detected with the help of ISPs, the owner of that device (computer/mobile) will get an SMS from the ISP regarding the same, and request them to take proactive action immediately. ICERT will provide a solution for every such threat, which would be available on their website. The owner of that infected device will need to download the solution from their website, and clean their systems. There would not be any charges for the same. ICERT has been actively informing and warning all Internet users about potential viruses and malwares since long. Last year they had warned all Android users about a major security hack; shared details about the lethal Bladabindi Virus which targets Windows OS; and informed us that total of 32,323 websites were hacked in India last year. The transformation of ICERT from a messenger to a solution provider is definitely one solid step for the Nation against viruses and malwares and for integrating a robust cyber security platform for all Indians. After Edward Snowden, the whistle blower from USA leaked documents which suggested that US security agencies spied on Indian Govt. officials by easily hacking their email addresses, Indian Govt. has decided to take this matter seriously. Under the Digital India vision, ICERT has been allocated a budget of Rs 98.2 crore to create a massive email platform for all Govt. employees. Around 50-60 lakh new email ids would be created under this program, which would be managed and regulated by the Indian Govt. Last month, Govt. had announced the new Email Policy of Govt. of India, and creation of a new email platform was part of the new structure. Introduction of integrated email platform for all Govt. employees is certainly a welcome step, and a major security measure which should have been implemented earlier.